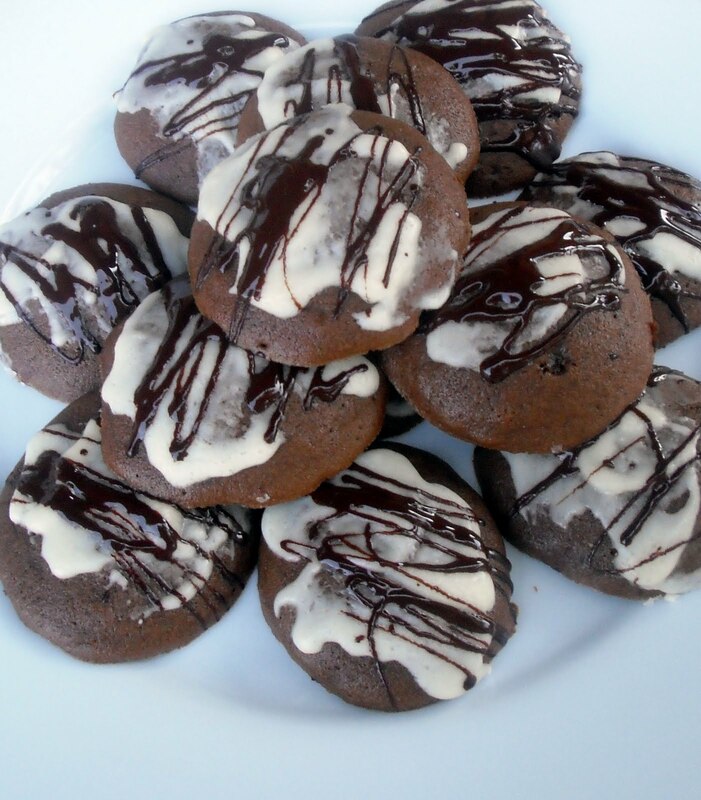 I absolutely love these chocolate drop cookies! I love that they are like little tiny bites of chocolate cake with crispy edges and a wonderfully different flavor due to the brown sugar. And, they have icing on them. I love anything with icing. I also love the memories of making them with my mom and my sister, Suzanne. When I looked through my mom’s recipe box years later, there were about five different chocolate stained index cards with this recipe on them. She didn’t organize her overstuffed recipe box so you could tell what recipes were her favorite by how many copies there were. If she couldn’t find the recipe she wanted, she would just rewrite it so it wouldn’t be lost. I don’t know where she got this recipe, it may have been one her mother made… I don’t think she ever said. 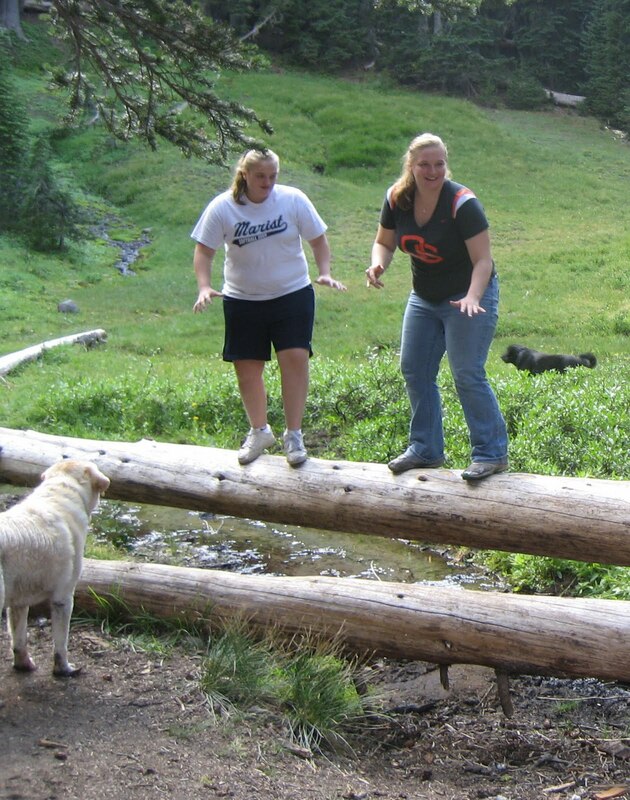 We went to Three Creeks Lake on Sunday to see my brother, Bill, and his family, who were camping there. I took a plate of these cookies and they were a huge hit! Bill remembered them well but the kids had never had them before so it was fun to see how much they loved them. I believe John’s exact word was “unbelievable”. Not surprising to those of you who know John, it’s one of his favorite words. Anyway, it was a beautiful day and lots of fun to see them. Three Creeks Lake is sort of the closest thing we have to a common “home” anymore, now that mom and dad are gone. We camped up there every summer and it still feels like somewhere we all belong. 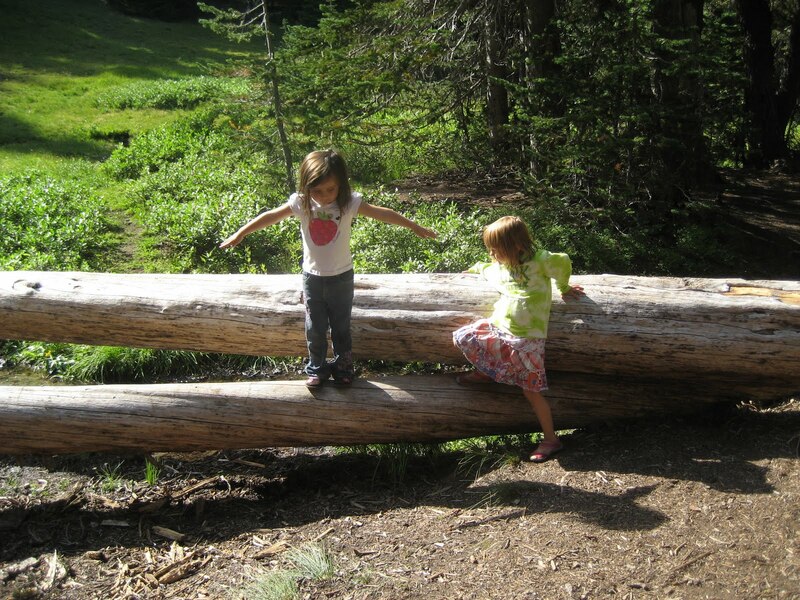 Ella and Hailey had a blast practicing their balancing. I have a good picture of their cousins doing the same but they might not want me to post it. OOPS! How did that get on here?? I’m afraid your feeble old aunt is not so good with all this technical stuff so I don’t know how to remove it. Sorry, Nicole and Abby! Mix butter and brown sugar until light and fluffy. 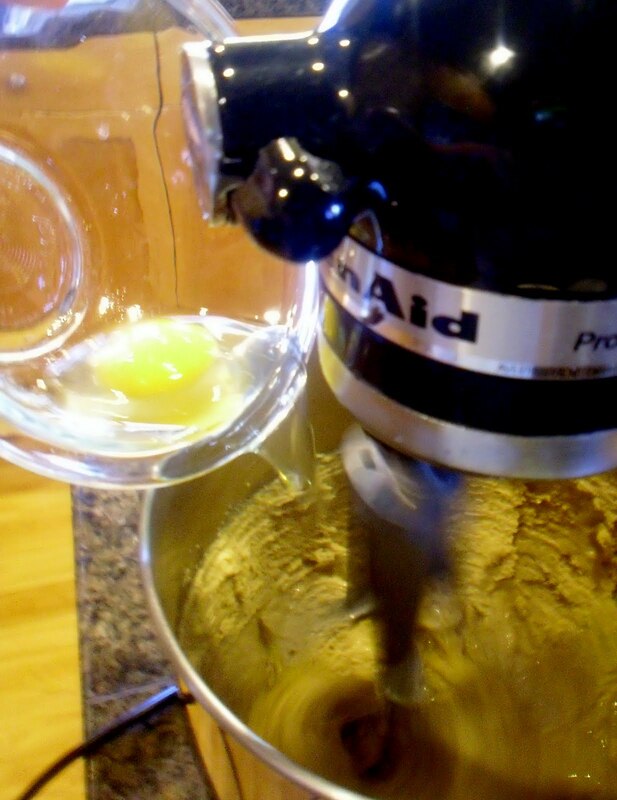 Add eggs, one at a time, mixing well after each addition. 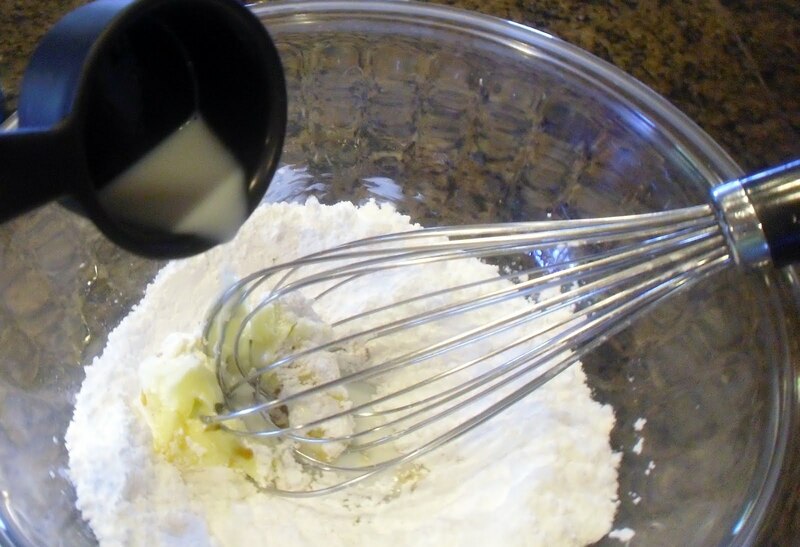 Add 1/3 of the flour mixture to the butter mixture, then add 1/2 cup buttermilk, repeat, add the vanilla extract in with the buttermilk, mix well after each addition until the batter is smooth and all the flour mixture is incorporated. Drop by teaspoonfuls onto a cookie sheet sprayed with non-stick cooking spray or lined with parchment paper and bake 7 – 9 minutes. 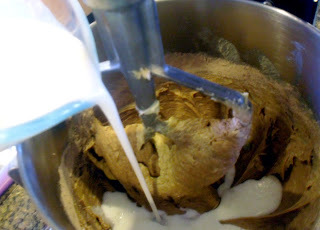 Meanwhile, prepare your icing by placing all the ingredients in a medium-size bowl and whisk until smooth, starting slowly so the powdered sugar doesn’t fly all over the counter. 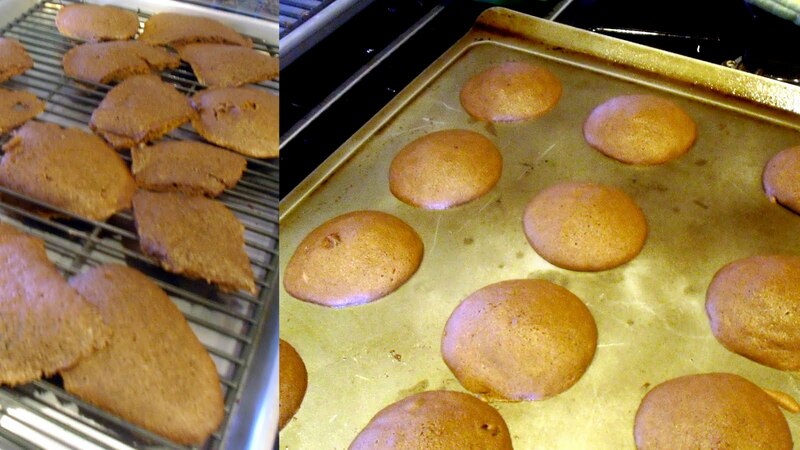 The cookies should look like the ones below on the right side, not the crazy ones on the left. After having them turn out flat as pancakes and oozing off the pan to the oven floor, I collected myself, cleaned up the mess and added a bit more flour to the cookie dough. The results were much better looking though both tasted great! To test for doneness, gently press your finger on top of the cookie. If it springs back slightly it’s ready. Remove them from the oven then remove the cookies from the pan and place them on a cooling rack or on a cold surface (like a granite or marble countertop) lined with parchment paper. After they’ve cooled for about 5 minutes but are still warm, top them with the glaze using a small butter knife, about 1 teaspoon or so per cookie. Sorry, I don’t have a photo for this step! 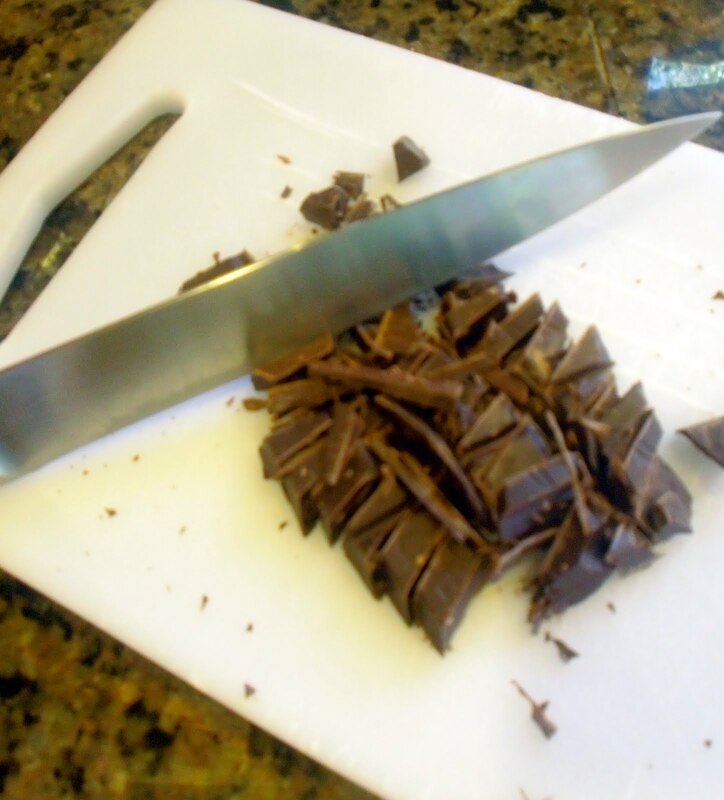 Next, chop the dark chocolate, place it in a microwave-safe bowl and microwave on high. Check it and stir it every 30 seconds until the chocolate is about two-thirds of the way melted. 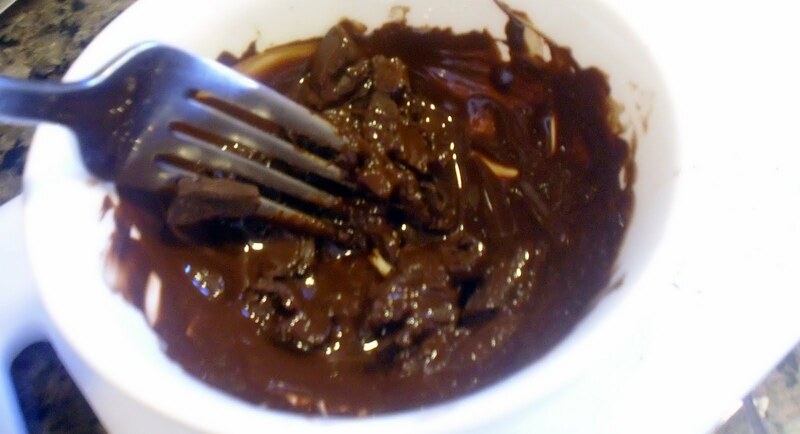 Remove it from the microwave and stir until all the chocolate is melted and smooth. 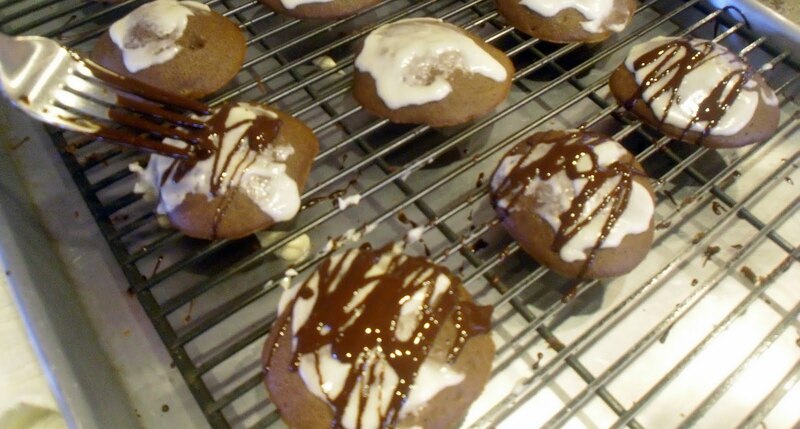 Drizzle the melted chocolate over the glazed cookies. Have fun with it, they will look imperfectly perfect. If you can possibly control yourself and those around you, allow the cookies to cool until the chocolate is set. I don’t recommend stacking them to store, rather lay them in a single layer on a large plate or platter and cover with plastic wrap. They probably won’t last a real long time anyway. This was one of our favorite campfire songs… Still is in fact.